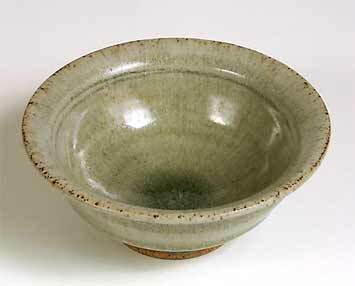 Green bowl - 5¾" (146 mm) diameter, 2½" (63 mm) high. Pooled and crazed ash glaze, runny on the outside. We thought this might have been Richard Batterham's work, but he doesn't recall making it.